This is a Great Investment Opportunity that include a package of 6 properties and a laundromat. 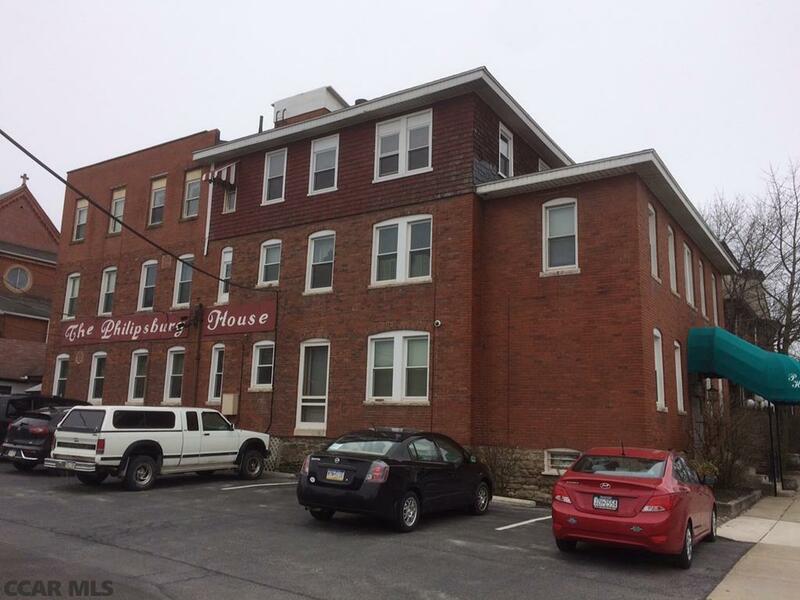 There is the Philipsburg House (14 studio and one bedroom units) at 100 E. Beaver (same address as 114 Front Street), which is represented as the main listing. There are the following additional property rentals: 2) 200 Lingle Street, Osceola Mills (Single Family Home), Parcel 013-377-00076 (Clearfield County); 3) 405 E. Presqueisle Street, Philipsburg (3 Units), Parcel 29-201-, 112-, 0000 (Centre County); 4) 414-416 Spruce Street, Philipsburg (2 Units), Parcel 29-201-, 078-, 0000- (Centre County); 5) 115 N. Eleventh Street, Philipsburg (2 Units), Parcel 29-302-, 151-, 0000- (Centre County); 6) 214 N. Tenth Street, Philipsburg (2 Units), Parcel 29-302-, 132-, 0000- (Centre County); 7) 114 N. Front Street (Laundromat with 10 Washers and Dryers), Same parcel as 100 E. Beaver (114 N. Front Street); Solid income stream. APOD/Cash Flow Analysis available upon request.